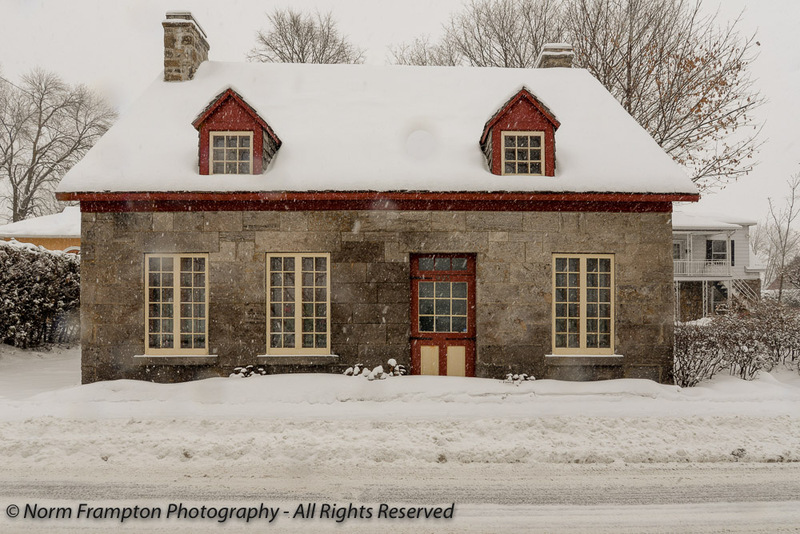 Gallery | This entry was posted in Photography, Thursday Doors and tagged Canada, Doors, Historic Buildings, Québec, Snow, Thursday Doors, Vieux Terrebonne, Winter. Bookmark the permalink. 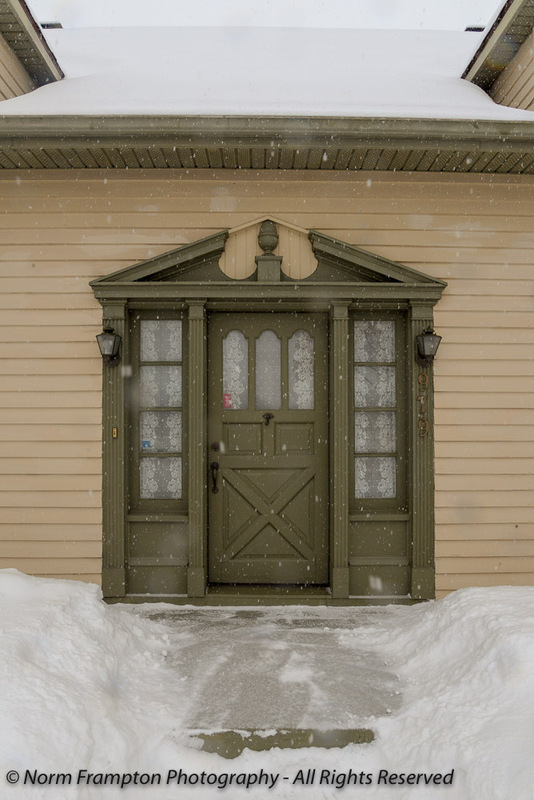 Wow, what impressive doors, they are splendid, even knee deep in snow! The house and doors with the orange surround really stands out! I love it….but I do NOT envy you your climate, right now in Cyprus it’s 14c, I’m cold and have the CHeating on, I would not survive Canadian weather, I’m such a wimp now! You’re so welcome, Norm. I must have been in a hurry. . .
They’re all so pretty and each is full of personality! It’s hard to pick a fav, but 933, and the white with yellow trim are mine for this series. pretty pictures. Love the decoration in the window of the first one. The wooden door in the seventh picture is really neat. This was such a treat. Stunning! Thank you, Norm. As much as I dislike snow, it adds a beautiful element to these pictures. So lovely. Thanks Carrie. That’s the thing about snow, it makes everything look so pretty that it’s almost tolerable for the first while, especially over the holidays. By mid-February however…ENOUGH ALREADY! Is it spring yet? 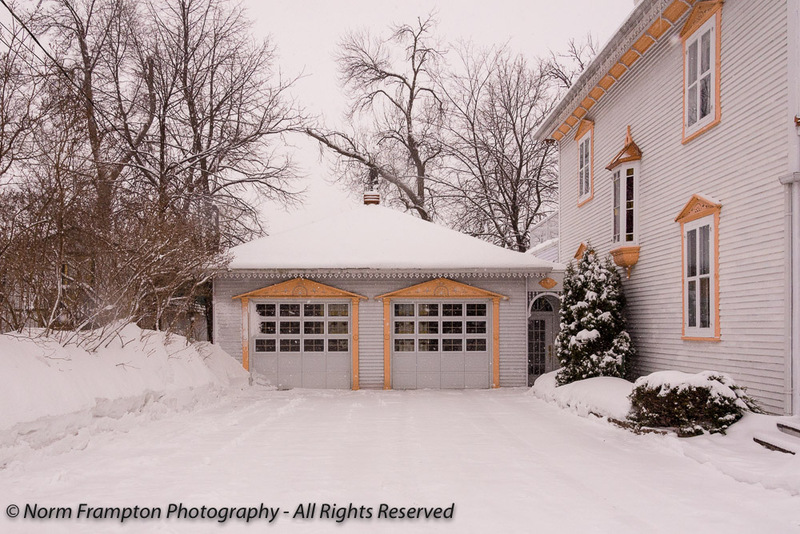 I love white walls in white snow, and I wish I could wear and look good in white – unfortunately not! Am not predicting anything, because we had snow on April 1st last year. 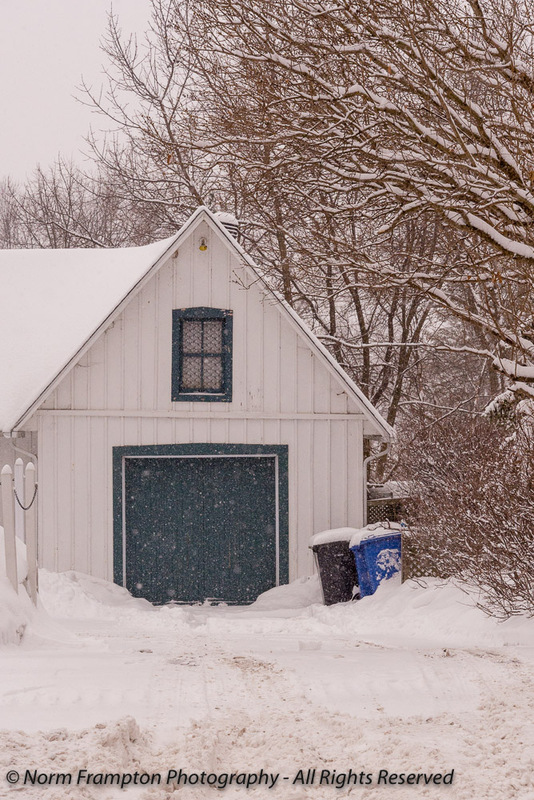 Another favorite is the last one – somehow snow softens the bare or old. Great collection, Norm! Oh, I like these snow covered pictures! Unfortunately this year no snow in our area. 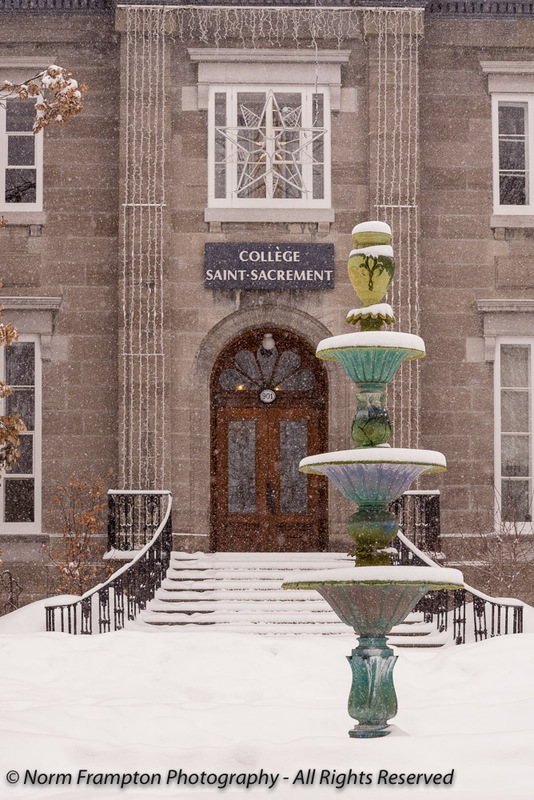 Beautiful Norm – in that first picture, is that a cascading bird bath in front of the college? Beautiful images. 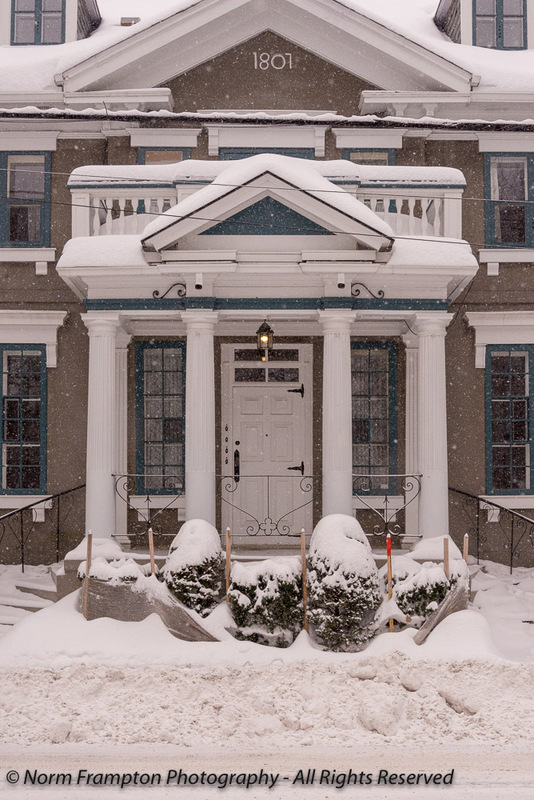 I love the effect of the snow and how the colors of the doors and trim stand out. The colorful fountain in front of the college is stunning. Thanks Ally. It certainly is pretty when the snow is all fresh and white. We’re having a bit of snow here, too, Norm. Nothing like you have there, of course. But enough to get excited about. 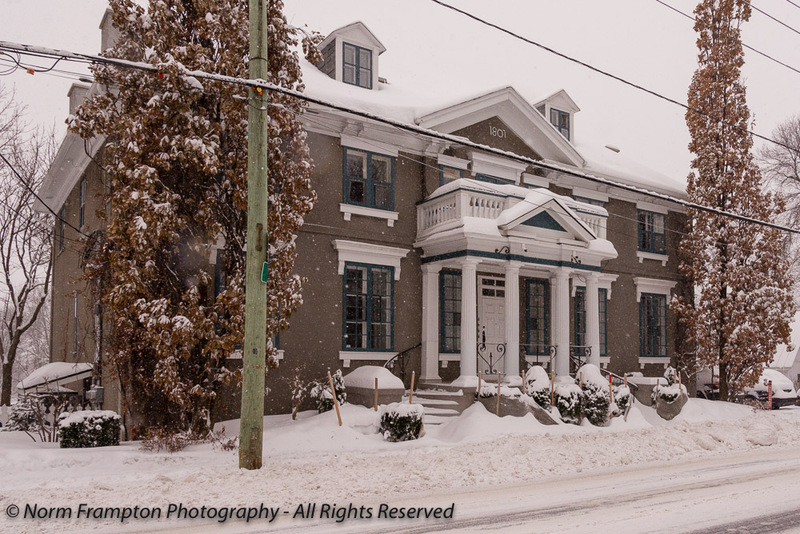 All the properties you posted this week are fab but I love that last one, especially in the snow. 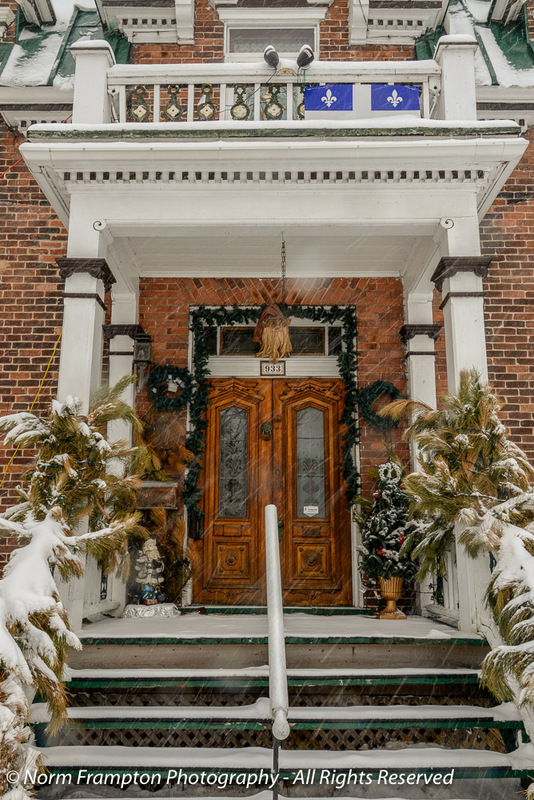 These buildings and doors are beautiful backdrops to watch the snow fall! Great Doors and lovely buildings, you can really see the French influence in some of them. Above freezing here for the second day, Norm, but thankfully the predicted rain missed us. I’d rather go for the slow melt. 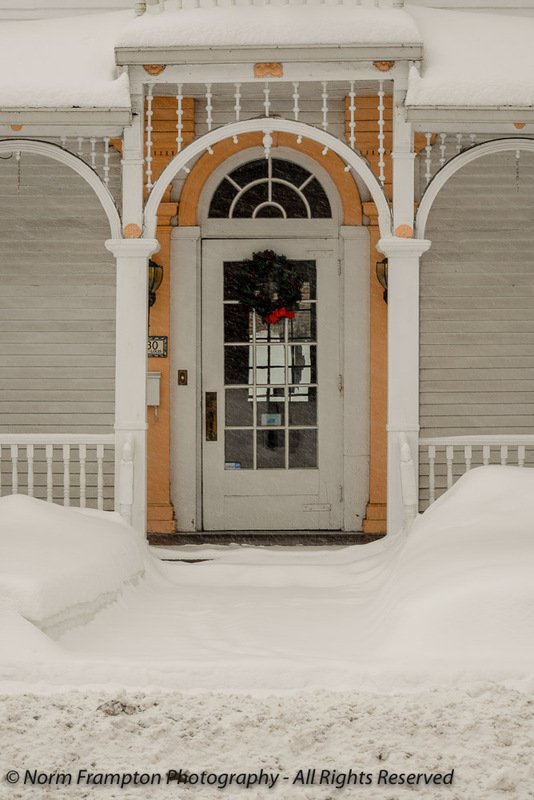 Some really amazing doors and wonderful buildings too…and of course the snow. Every week, I fall in love with the first door you show us, Norm and almost every week, something comes along and steals the top spot. This week is the exception. I really like that first door, and even though you have a bunch of good ones, that’s my favorite. 1801 and 933 are close seconds. I think the snow helps, in that it highlights the strength and purpose of these doors. They stand strong between us and whatever nature throws at them. Great photos! Thanks Dan. I was lucky to have so much quality material to work with in this part of town. I could go back and still get enough for 2-3 more posts. Beautiful set of doors, Norm. Still cold. What a lovely collection of grand homes! 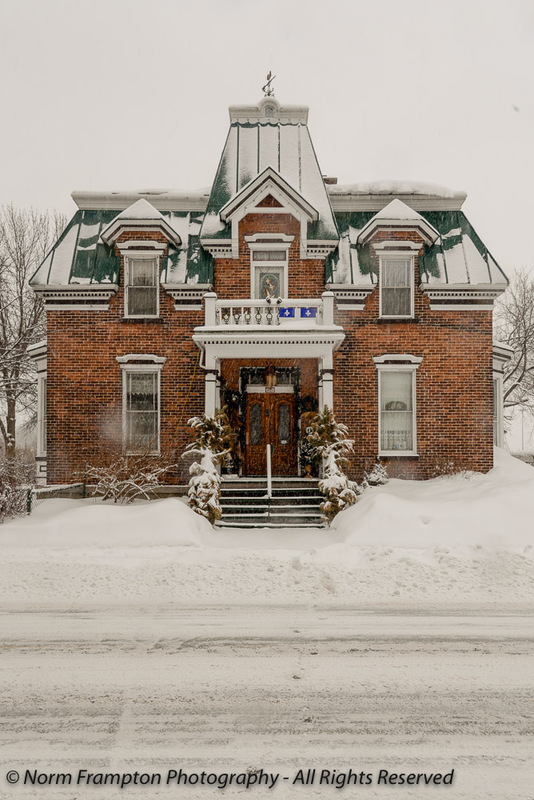 … and not one of them appears to have a driveway tent for the snow that is so common throughout Quebec. I thought I loved 1801, until I saw 933. Thanks Joanne. Don’t quote me on this but I think those “tempo” driveway structures may be banned by the city in this historical part of town. Ahhh – that would explain a lot. They are rather ugly … but if I had to shovel all that snow, I’d be considering it. The snow really adds another element to these photos. Beautiful! And feels complecomp differdif too!